Serbia Cancels Handball Match With Kosovo Over Security Concerns - Integration Through Media ....! 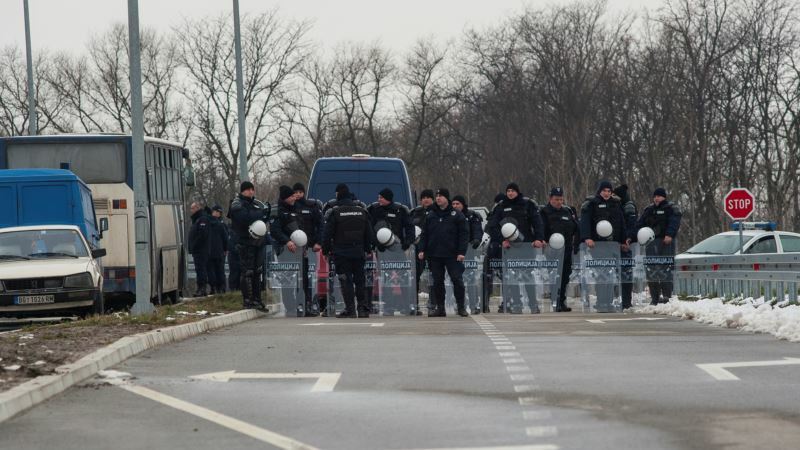 (VOA): Serbia has canceled a women’s World Championship qualifier handball match with Kosovo over security concerns after nationalists announced they would protest the game. Serbia’s Interior Minister Nebojsa Stefanovic told local media Friday he called off the match to avoid any clashes between nationalist fans and police. In response, the European Handball Federation (EHF) said it was expelling the Serbian team from the tournament. The game would have been the first documented sporting encounter between Serbia and its former province, Kosovo, which declared independence in 2008. Serbia does not recognize Kosovo as a nation. The match was originally set to be played Friday in the central town of Kragujevac, but was moved to an isolated sports center in Kovilovo for security reasons. Both teams agreed the game would be played without fans or media because of the security concerns. However, some Serbian fans gathered at the Kovilovo sports center Thursday evening, waving Serbian flags and singing patriotic songs. Police were deployed to the venue Friday in anticipation of the game. Kosovo declared independence in 2008, nearly a decade after a NATO bombing campaign ended a crackdown by Serbian authorities against secessionists in Kosovo, populated mostly by ethnic Albanians.